Help your workforce be more resilient at work and life – improve workplace culture. Discover evidence-based methods to help you develop resilience in the workplace and in your personal life too. The ability to cope well with pressure, adversity and uncertainty relies on developing a particular set of behaviours, thoughts and actions. Anyone can learn these skills to increase their personal resilience. Resilience training will give you the tools to go beyond surviving to thriving on the job. Work Stress and How to Cope – Use of Work Well Tools to combat the negative impact of common work stress, at the individual level. Need a little taste test? Contact us to get demo access to our online program and learn what the program is all about. Resilience at work is now recognised as a defining characteristic of employees who deal well with the stresses and strains of the modern workplace. Resilience is simply a person’s ability to ‘bounce back’ from the pressure and demands of daily life. At work, resilient people are better able to deal with the demands placed upon them. Resilience is not a characteristic gifted to some individuals and not others. The key here is that resilience is not a passive quality but an active process. The good news is that although some people seem to be born with more resilience than others, we can all learn how to boost our ability to cope, thrive and flourish when the going gets tough. Training in resilience will help you roll with the ebbs and flows of working life.  The KINNECT Training Resilience in the Workplace program has been designed with delivery flexibility in mind. Different businesses need different delivery styles and often within businesses it is difficult to reach all employees with the one style of delivery. A thorough whole day program giving participants in depth knowledge on building and maintaining resilience. Loads of interaction and activities throughout the day. For program on a tighter time schedule, this delivery takes the priority areas from the full day program and delivers them in a fun, interactive and educational manner making sure participants walk away with tools to apply immediately. Small bite sized snippets of information delivered straight to your inbox or mobile device app. Provided over a period that you decide with regularity of delivery to suit you. Also used as a resource platform in support of the full and half day programs. Used as a stand-alone program for those that are unable to attend the face to face sessions and offered as part of the face to face programs to provide ongoing resource access. 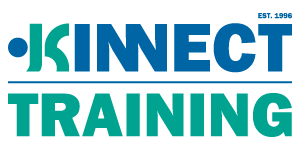 Completion of any of these program will result in the awarding of a Statement of Attendance issued by KINNECT Training. Statements are issued electronically but if you need printed versions just let us know (please note fees for printed certificate issue may apply). The ability to cope well with pressure, adversity and uncertainty relies on developing a particular set of behaviours, thoughts and actions. Anyone can learn these skills to increase their personal resilience. Resilience training will give you the tools to go beyond surviving to thriving on the job. This course is designed for participation by all Workers and Supervisors interested in learning strategies to cope better with the pressure and demands of work. Available at any time online. Complete at your own pace. Never lose your place.